A new documentary about Amy Winehouse will feature previously unseen footage of the singer, who died in 2011 of alcohol poisoning. The still-untitled movie will be directed by Asif Kapadia, who won a British Academy of Film award for his 2010 picture Senna, about the Brazilian auto racer Ayrton Senna, Reuters reports. Like Senna, who was 34 when he was killed in an accident at the 1994 San Marino Grand Prix, Winehouse's success was cut short by tragedy. Her 2006 album Back to Black made her a star, but she wilted under the acclaim it brought her. She was just 27 when she died after years of drug and alcohol abuse. 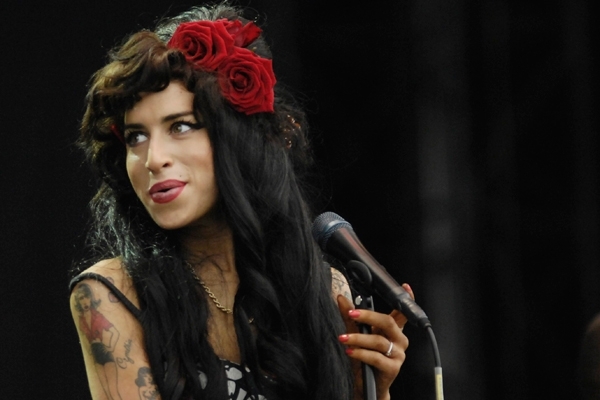 "Amy was a once-in-a-generation talent who captured everyone's attention. She wrote and sung from the heart and everyone fell under her spell," Kapadia and producer James Gay-Rees said in a statement. "But tragically, Amy seemed to fall apart under the relentless media attention, her troubled relationships, her global success and precarious lifestyle. As a society, we celebrated her huge success, but then we were quick to judge her failings when it suited us." Distributor Focus Features plans to shop the film to buyers during the Cannes Film Festival next month. In the meantime, Beyoncé and Andre 3000 have covered Winehouse's "Back to Black" for the soundtrack to The Great Gatsby. Baz Luhrmann directed the new film version of F. Scott Fitzgerald's 1925 novel, and Jay-Z produced the soundtrack.